In addition to providing overall strategic communications counsel on the expansion of Universal Studios Hollywood Studio Lot and related development of the Wizarding World of Harry Potter Hollywood, the Message team oversaw the design and development of a responsive digital experience to help inform Los Angeles residents about the project. Many years in the making, Comcast-NBCUniversal’s “Evolution Plan” called for extensive upgrades to the fabled studio’s movie and television lots, including new sets, soundstages and technology, new hotels, $100 million in transportation improvements, expansions at CityWalk and the highly anticipated addition of the Wizarding World of Harry Potter attraction at the Universal Studios theme park. The plan promised new jobs, millions of tourism dollars into the L.A. economy, and improvements to parts of the city’s freeway infrastructure. But before it could see the light of day it had to get approved. In addition to providing overall strategic communications counsel on the expansion of Universal Studios Hollywood Studio Lot and related development of the Wizarding World of Harry Potter Hollywood, the Message team oversaw the design and development of a responsive digital experience to help inform Los Angeles residents about the project. 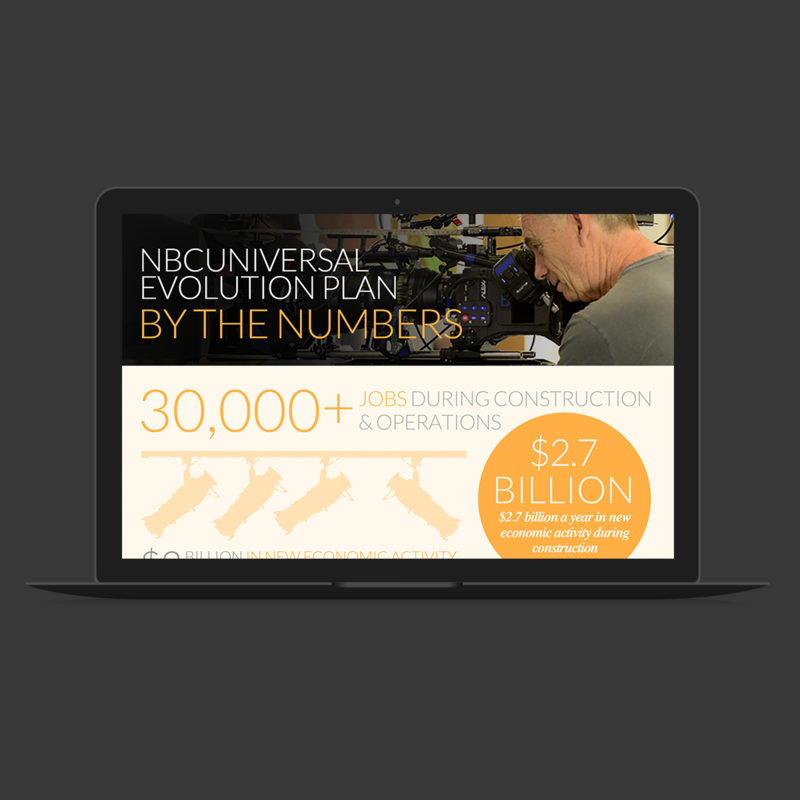 The NBCUniversal Evolution website served as an online hub for official information, and a key resource in motivating constituent support for the project’s county and municipal approvals. The site drove engagement and advocacy from local neighbors, L.A. residents, industry professionals, local businesses, unions, and multiple other groups whose voices were essential to bring the project to life. City and County officials unanimously approved the expansion of the Studio Lot leading to the creation of thousands of new jobs in the region. The $500-million Harry Potter attraction opened in April, 2016 and has already become one of the premier tourist destinations in the US. Message has continued its work with Comcast-NBCUniversal by providing substantial support for Comcast’s centerpiece Corporate Social Responsibility program “Internet Essentials,” which provides low-cost broadband access for underserved communities. 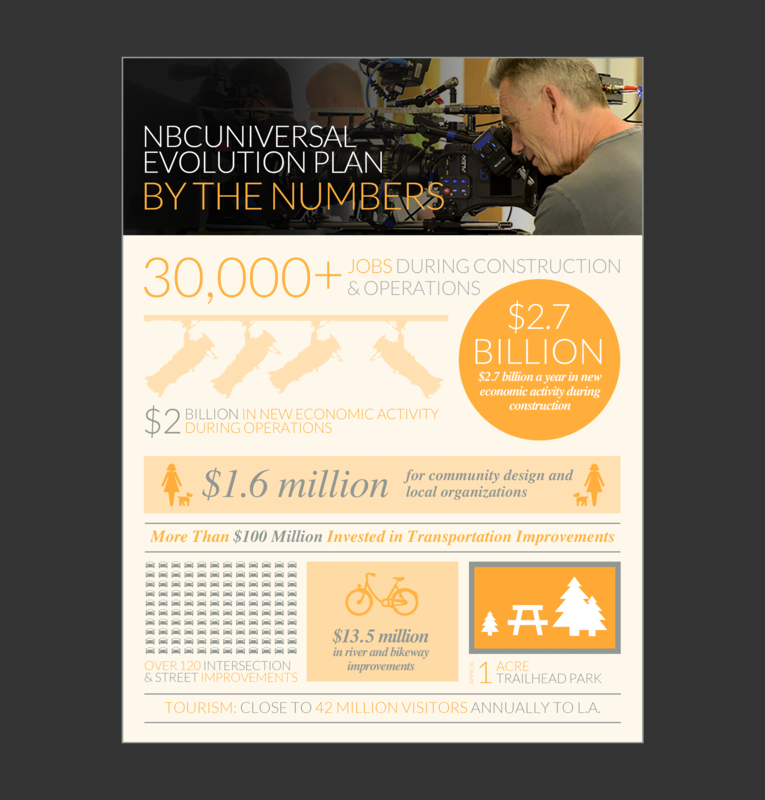 In addition to providing strategic communications support for program expansion and growth, Message also recently developed a comprehensive Annual Report to showcase the impact of this program that’s improved the lives of more than almost 2.4 million Americans to key audiences. "In addition to providing overall strategic communications counsel on the expansion of Universal Studios Hollywood Studio Lot and related development of the Wizarding World of Harry Potter Hollywood, the Message team oversaw the design and development of a responsive digital experience to help inform Los Angeles residents about the project. "